Christmas: Fairy tale or miracle? One of the Christmas story accounts is found in the book of Luke, chapters 1 and 2. Luke claims he’s writing a historical account of Jesus with complete accuracy and integrity so we may know the certainty of the things we’ve been taught. Luke mentions King Herod. We know Herod was a historical figure. But almost immediately Luke seems to switch genres. An angel named Gabriel shows up. He tells Zechariah his elderly wife is going to have her first baby. This doesn’t feel like a history anymore. It feels like I’m reading Charles Dickens’ A Christmas Carol. But Luke doesn’t stop there. Next the same angel Gabriel visits Mary. He says she’s going to conceive a baby even while she is a virgin. And this baby is going to be God made human. Now we’ve moved on from fantasy to science fiction. A baby who’s also God? How can we really take this seriously? I haven’t even mentioned all the music. In the first few pages of his book, Luke has Mary sing. Then Zechariah sings. A man named Simeon sings. And the most fantastic of them all, a whole choir of angels breaks through heaven and sings for a few shepherds in the middle of the night. I know Luke claims to write a history, but it feels like a fairy tale/sci-fi musical. Sure, these few pages in the Bible could teach us something about humility, hope, and happiness. But can they really teach us about history? I believe Luke is writing an accurate, historical account of exactly how the events unfolded 2,000 years ago. Let me tell you why I believe Luke 1 and 2. 1. I believe in miracles. What’s a miracle? It’s something that defies the laws of nature, the predictable patterns of how things normally work. Gravity pulls the apple to the ground as it falls off the tree. Water boils at 212 degrees Fahrenheit. But why are there so many things that follow these laws? Because there is an ultimate Law-giver. There’s a Creator who organized the universe to work in a predictable way. All the laws of nature seem to work together for a purpose. And one of the ultimate purposes is the flourishing of human life on earth. When you really think about it, the laws of nature are, well, quite miraculous. So maybe a better definition of a miracle is: something that only God could do. Only God could set up the laws of nature and create a universe that works together. Only God could make life flourish. And sometimes . . . Sometimes God breaks the law. He broke the laws of nature when the Red Sea parted and Israel walked through on dry land. And he broke the laws of nature when the virgin Mary conceived and gave birth to the Son of God. Most important, he broke the laws of nature when Jesus died and rose from the dead. God made the laws of nature. And he has the right to break them. 2. We need a miracle. But forcing miracles into the laws of nature is NOT necessary. God designed the laws. And every once in a while he breaks them on purpose. He shows up in wonderful ways on purpose. Why did he work in such a miraculous way in the Christmas story? I believe he wanted to emphasize that God had to break in to our world to save us, and he had to do all the work. We weren’t going to fix our lives or our world through science, philosophy, technology, or business strategies. We needed God to step in. We are sinners. It’s impossible to make up for the wrong we’ve done or to change ourselves into the people we want to be. But God did the impossible. He came into this world. Lived the life we should have lived. Died the death we deserved. And rose again to conquer death itself. God continues to do the impossible as he lives in us and is slowly changing us into the people we were made to be. 3. Embracing the miracle fills you with joy. So yes, Luke seems to be writing a fairy tale/sci-fi musical, and he wants you to embrace every word of it. Embrace the fact that Gabriel came to Zechariah and Mary. Embrace the miraculous births. Embrace a God on a cross. Embrace the miracle of the resurrection. When you embrace these miracles, you’ll see why there’s so much singing and rejoicing in Luke’s book. Simple words aren’t big enough to contain our joy. We must sing. We must party. God has done the impossible—a miracle. He has rescued his people from death and made a way that we can walk with him forever in a renewed world with renewed bodies. Although the book of Luke might sound like a fairy tale, he is writing history. A history that could only be accomplished by our Almighty God. May you have a miraculous Christmas! Pastor Ben Sadler has served as a full-time pastor since 2010. He began his ministry serving a Spanish-speaking congregation in Florida. 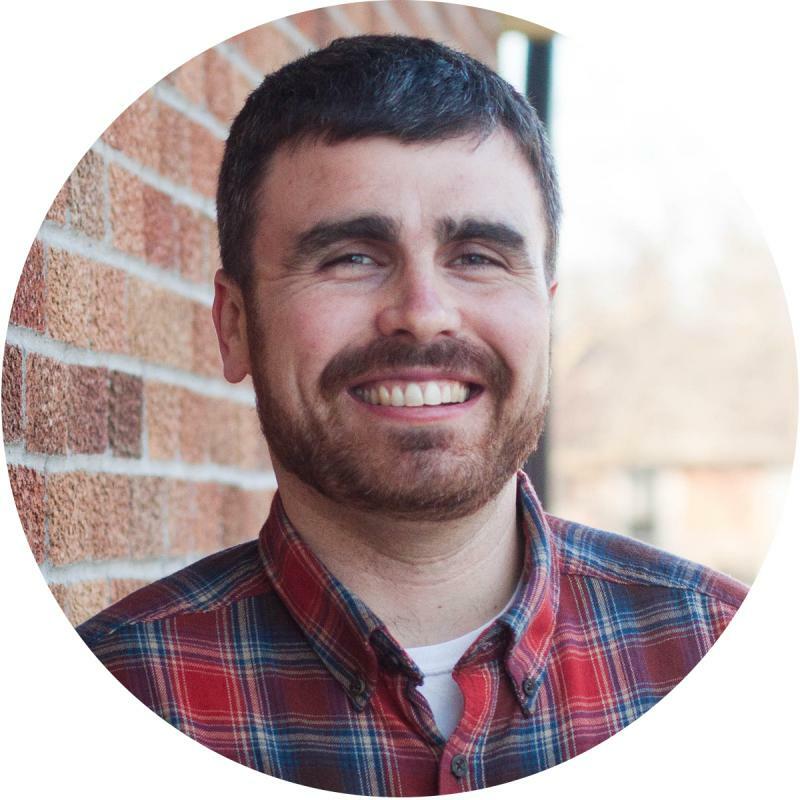 Since March 2014, he has served at Goodview Trinity Church in Minnesota. He is married to Emily, and they have three children. Ben loves to spend time with his family, ride his road bike, read, write, and preach. For more encouragement from Pastor Sadler and other Time of Grace writers, sign up here to receive email notifications of new blog posts.